We remember Canada's great contributions and sacrifices in war. This year marks the 100th Anniversary of Canada's Hundred Days and the Armistice– 1918-2018. Tundra Buggy Driver, Kevin Burke. 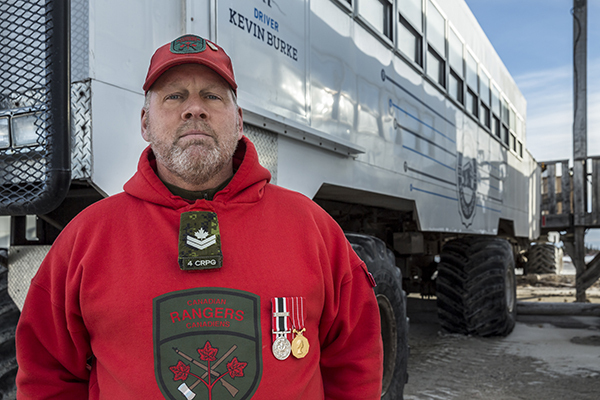 This is Kevin Burke, a member of the Canadian Rangers and long-time Buggy Driver. Every year on Remembrance Day he leads a short service followed by a moment of silence out on the tundra via radio to all the Tundra Buggies. It's a powerful and important reminder for us to take a moment to remember, no matter where we are. Thank you Kevin Burke and all military personnel for your service.